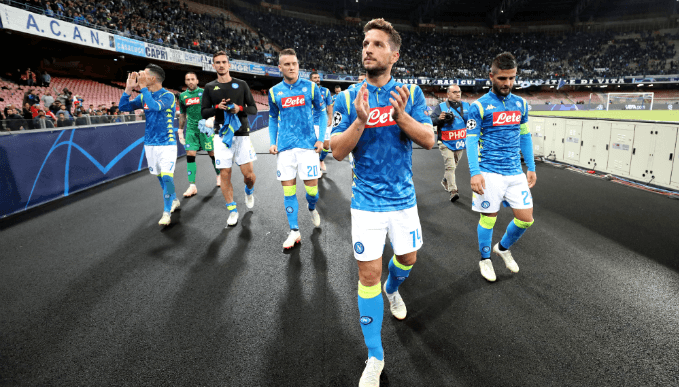 It has been a testing week for both Napoli and AS Roma, but both will arrive at the Stadio San Paolo on Sunday hoping to grab a victory, in what is almost always a heated rivalry. Their encounters are known as Il Derby del Sole (The Derby of the Sun) or Il Derby del Sud (The Derby of the South), thanks to the duo being the most successful sides outside northern Italy. That has certainly been reflected in recent years as they have been the closest challengers to Juventus, but Roma have struggled this term and a win against Napoli would be a major boost. Losing at home against SPAL last weekend was their third defeat of the season and Eusebio Di Francesco has since appeared to admit that his squad did not take that game anywhere near seriously enough. They certainly cannot do that against Napoli, who have begun to fire on all cylinders under the tutelage of Carlo Ancelotti. They were unfortunate to be held to a 2-2 by Paris Saint-Germain in midweek but attacking duo Dries Mertens and Lorenzo Insigne – who often now feature together in a new 4-4-2 formation – were both on the score sheet. It will be up to Roma to find a way to slow down that prolific pair, but no matter who comes out on top, there are a number of interesting angles that provide good value with bookmakers. Roma have won their last two trips to the San Paolo, and drew the encounter before that 0-0, meaning their last defeat away to Napoli was back in November 2014. Before that, the Partenopei had won three in a row – without conceding a single goal – and they are certainly in much better form as this latest clash approaches. Ancelotti’s men have won eight of their last nine home games in Serie A, keeping their opponents scoreless in their last three fixtures, while Roma have been incredibly poor away from home this term. Indeed, they have lost two of their last three away games - their only win coming at Empoli with defeats coming at the hands of AC Milan and Bologna - making it difficult to see them being successful here. That makes a home win the most likely outcome, with a Napoli victory available at a best price 4/5 with Black Type. While Ancelotti has clearly tightened up the Napoli defence, he has also continued to allow their attacking players to shine, his side scoring at least two goals in seven of their last eight Serie A matches. That has meant there have been over 2.5 goals scored in eight of Napoli's last 10 league games, and they have also found the back of the net in each of their last four meetings with Roma, who are no slouches in front of goal either. The loss to SPAL marked the first time in six games that the Giallorossi had failed to register a goal, but they bounced back with a 3-0 win over CSKA Moscow in midweek. As a result, it is well worth looking at backing both teams to score on Sunday evening, an outcome available at 3/5 with 888Sport. There is also a little extra value to be had in backing over 2.5 goals, available at 4/6 with the same bookmaker. No longer expected to run up and down the wing, Dries Mertens is now fully established as an out-and-out striker at Napoli after scoring 60 goals since the start of the 2016/17 campaign. Netting against PSG marked his fourth strike of the current campaign, and that could mark the beginning of another hot streak for the Belgium international. He has a fondness for scoring against Roma too, netting in each of the last three games he has lined up against them. With 71 Serie A goals to his name, Mertens needs just two more to move into sixth place among Napoli’s all-time leading scorers, a feat he would love to accomplish on home soil. Mertens is available at 7/2 to score first against Roma with Bet365 or 10/11 to net at any time, both options well worth considering.